Yet another scary press release regarding home birth has come out today in advance of research which is set to be published in the upcoming issue of AJOG. We’ve already seen in the Wax report how relying on birth certificate data can mar research, as the intended place of delivery is often not captured on a birth certificate. Was the home birth planned with a skilled attendant present, or was it an extramural delivery (i.e. an unintentional home birth), which is more likely to lead to such scary “statistics”? The press release also implies that “babies born at home are roughly 10 times as likely to be stillborn and almost four times as likely to have neonatal seizures or serious neurologic dysfunction when compared to babies born in hospitals”, never mind the fact that the soon to be published research looked at 5 minute Apgar scores, rather than the rate or cause of the stillbirths. The authors of the study do concede that the stillbirths (associated with 5 minute Apgar scores of 0) could have been caused by factors OTHER than the place of delivery, such as undiagnosed stillbirths in the third trimester (intrauterine demise) or congenital anomalies, but that certainly won’t stop them from putting out a misleading press release nonetheless. Wendy Gordon over on the MANA blog has already fired out an excellent response to this which is well worth reading, if you’re interested in understanding the truth behind the headline hyperbole. Hi, lovelies. It’s certainly been awhile, and a lot has been going on. I promise I will write some updates soon, but a great deal has been happening and I haven’t quite been able to process all of it yet. Once the processing is finished, the posts will come. In the meantime, I thought I’d share an amazing resource which has recently been brought to my attention with all of you. Miscarriages are so incredibly common. Statistically, 1 in 5-7 pregnancies will end in miscarriage, although many might occur before a woman even knows she’s pregnant. I’ve personally had two. And I’ve midwifed many women through a miscarriage. In fact, I’m pretty sure if we all started talking about our miscarriages just a bit more, we’d be astounded by how common this is, and how many sisters all around us have been through it. But that’s just it…no one talks about it. And it is hard to talk about. I’ll certainly give you that. I can’t speak for anyone else’s experience, but for myself there has always been some element of lingering guilt attached to it: if only I’d taken better care of myself, or been less stressed out, or hadn’t gotten into that one fight, or hadn’t stayed up 24 hrs straight delivering a baby and gotten more sleep instead. As if I had had any control over it in the first place. It’s hard to accept that most miscarriages happen for no good reason at all. Or actually, perhaps they happen for the very best reason possible. If you stop to think about it, a miscarriage is the body’s way (or nature’s way, or God’s way, or the Goddesses way, or [insert spiritual belief of choice here]’s way) of ensuring that more often than not healthy babies are carried to term and delivered. Think of all of the miraculous, amazing steps which have to go perfectly right in order to form a fetus. If even one of those steps goes wrong in those early weeks, the implications for a living child can be devastating. While a miscarriage can be absolutely harrowing, I do believe it’s kinder than the alternative. And those early steps are pretty complex. It’s not surprising that something goes awry from time to time. But this is cold comfort. And since it’s so rarely talked about, knowing what to do to recover and heal after a miscarriage is very rarely discussed. As a provider I’ve often searched for a resource or a guide to give to clients to help them ground themselves afterwards. And as a woman who’s been through it, I’ve found myself staring off into space afterwards, hands on a suddenly empty belly, wondering to myself: what happens next? I think the answer to that question is so incredibly personal, for each and every woman. But I did find this fantastic post over by Jessica from Smarter Each Day which is certainly worth sharing: Natural and Holistic Healing from a Miscarriage. It’s worth a read, even if this has never happened to you, if only to allow you to better support a friend or sister who does have to endure this. And for everyone else who has had to walk this path, what helped you heal afterwards? It’s easy to get sucked into your practice bubble when you’re a midwife, and put your nose to the grindstone and not look up much. Midwifery is like that; it’s one of the hardest jobs out there, demanding huge amounts of your energy and time, and it’s hard to take a moment to catch your breath, look around, and see what else is happening in the world. However, the other day I had a moment to do just that, and I discovered that independent midwifery in the UK is currently being threatened in a pretty major way. When those of us over here in the US think about midwifery in the UK, I suspect it’s often done with an envious sigh. Midwifery in the UK certainly sounds a lot better than the deal we’ve got in the US right now. For one thing, there is an integrated healthcare system in the UK, which means that midwives have a seat at the table; they are considered a vital and respected part of the healthcare system, rather than viewed as minority at best, or at worst a fringe element practicing outside the medical system (and there are still plenty of states where some forms of midwifery care, such as home birth, or certain credentials, such as CPM, are still illegal and unrecognized). Of course, it doesn’t help that midwifery in the US is fractured at the moment, with no standard definition, educational path or credential (I’ve talked about this a great deal in previous posts, but if you’re still confused about CNMs v. CPMs v. CMs v. the ACNM v. MANA etc. etc., start with this post here and move on from that). The truth is, they have a much longer and crucially unbroken midwifery heritage in the UK than we have here in the US; the unbroken aspect of it being key, I think. In fact, Mary Breckinridge, an early pioneer of midwifery in the US and founder of one of the first midwifery educational program here (the Frontier Nursing School), was actually trained in England and brought British-style midwifery to our obstetrician-dominated shores. The history of midwifery in the US owes a lot to England. Right now, as it stands, midwives practice in the UK in one of two ways (and UK readers, please please PLEASE correct me if I’m wrong about this): either as part of the NHS, or as an independent midwife (IM). IMs are fully licensed and qualified midwives who choose to practice outside the NHS, most often in private practice or self-employed, either delivering in a private hospital or more frequently attending home births. They’re able to offer the gold standard of midwifery care: one-on-one continuity of care, meaning that they provide all of the woman’s prenatal care and are also the one at her delivery. Because they work outside the NHS, they charge their own fees and are reimbursed directly by the client, rather than the NHS. Even so, they are still part of the larger healthcare system. 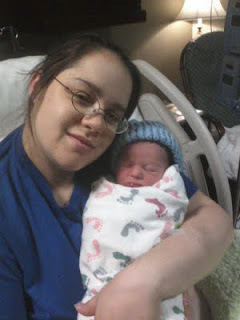 In the event that a home birth requires a transfer, an IM is able to smoothly transfer her to a hospital without the usual bruhaha so common here in the U.S., and either continue the care for her client in the hospital as her midwife, or remain with her as her advocate, often going into the OR with her if a cesarean is needed. As it stands right now, most IMs don’t carry malpractice insurance. This is because the number of IMs in the UK is so small that it’s been impossible for them to contract affordable premiums based on the small size of the IM pool. If there is a lawsuit, any damages paid out aren’t covered by an insurance company, and often come directly from the midwife’s assets (not exactly ideal), which means that most pay-outs are incredibly small. However, a new EU ruling is about to go into affect in October, 2013, which will require that all independent midwives now carry malpractice insurance–or in other words, make it illegal to practice as a midwife WITHOUT malpractice insurance. And given that the pool of IMs sharing the costs of insurance is so small, the insurance premiums would be exorbitantly expensive–prohibitively so. Which means that if they can’t afford malpractice insurance, they’ll be practicing illegally. IMs argue that insurance is a profit-making industry, and that it is good standards of practice that make midwifery safe, not insurance policies. They also point out that by making insurance a compulsory prerequisite of registration, there are implications for the freedom of all midwives, not just independent ones. Potentially, the legislation could further erode birth freedom for women too, with insurance companies gaining a say in where and how they might be happy for births to take place. If they fail, and Independent Midwifery becomes illegal, this will be a grave blow to birth freedom in the UK. The NHS will be left unchallenged, a monopoly, and a system that already seems to be over-stretched and flawed will be left to continue without an alternative for anyone to compare it to. Women who seek an different option to the mainstream will have no choice but to birth unattended, or perhaps in secret with an midwife practicing illegally. Will this really improve birth safety? If you’re a citizen in the UK, this is a vitally important issue. Please visit Choose Your Midwife, Choose Your Birth to sign the petition (only UK citizens are able to do so) and to find out more about upcoming rallies and activities (you can even write a letter to MP Dan Poulter, who is currently refusing to meet with IM in the UK). Check this out: A fantastic new guide written by Consumer Reports (who would have guessed?) about what to reject when you’re expecting, including unnecessary cesareans, elective inductions, routine amniotomy and episiotomy, and babies routinely going to the nursery. Coupled with advice on what to look for instead, including midwifery care! Well researched and very refreshing. Be sure to send this to all of your pregnant friends! Well, the time has come. After nearly 5 years working with the vulnerable and inspiring women at an urban public hospital in New York City, it’s time to move on and follow my dream. I have always, always known I wanted to be a home birth midwife, even when I was just a student, and now, after catching nearly 400 babies, taking care of hundreds of women (including triaging and managing some very high risk situations with collaboration), and going through my share of emergencies, I finally feel like I have enough experience and am ready to take the plunge. And what a plunge it’s going to be! In many ways, I think I’m going to have to un-learn nearly as I’m going to have to learn for the first time: when to make the call on a transfer, how to resuscitate a newborn in a living room, how to let labor unfold without interference or vaginal exams (yeah, that one sounds pretty easy–and a pleasure to not have the hospital’s ticking clock hovering over my head–but even so, I’ve gotten very used to doing exams every few hours, and I’m going to have to rely on other signs now to assess labor progress), how to triage over the phone, how to be on-call 24/7, how to deliver women in any position of their choosing, etc. etc. What a change it’s going to be! I will say, though, that I feel like I have found the *perfect* situation for myself to learn all of this in. I’m joining the private practice of a home birth midwife who’s already well-established, has been practicing home birth for several years already, and is really open to mentoring me and taking me under her wing while I’m learning, besides the fact that she’s incredibly intelligent, fun, enthusiastic and practices in a way very similar to me (for example, I think we’re both on the more conservative end of home birth, will definitely be following ACOG intermittent monitoring protocols to a T, and will probably be transferring sooner than other home birth midwives might–which isn’t to say that other home birth midwives are taking unnecessary risks, only that I think we’re both pretty similar in what we’re comfortable with in a home setting, which is a really good thing). Part of me is wondering what I’ve gotten myself into, and is definitely nervous–no less for the life-style adjustment than for all of the new skills I’m going to have to learn. And I keep reminding myself that doing anything new is always hard, and always requires a big adjustment. But part of me is so. damn. excited–it’s not even funny! Hour-long prenatal visits, gyn and family planning–I’m even going to learn how to do IUIs (intrauterine insemination) and infertility consults–this is a chance to deliver the kind of care I have wanted to give to women since I was a student, but haven’t been able to since I was curtailed by the limitations of the public hospital system (15 min prenatal visits tops, for instance). Anyway, I’m sure I will have much to update all of you with in the weeks to come. My new job starts next week! I’ve been meaning to write about this for awhile now. The debate about home birth, usually relegated to the side-lines in the larger debate about birth, has hit the big time recently (well, back in June) as some of our nation’s top female journalists waded into it full force. First, Michelle Goldberg at the Daily Beast wrote the following post: Home Birth: Increasingly Popular, But Dangerous. This was answered by Jennifer Block on Slate (who’s also author of the book Pushed: The Painful Truth About Childbirth and Modern Maternity Care) in her article How To Scare Women. Michelle Goldberg then went on to write a response to Jennifer Block’s critiques. But the two articles that really got me excited were the following commentaries on the back-and-forth between Goldberg and Block: Smart Women Debate Home Birth by Ceridwen Morris, and Can We Have a Civil Debate Over Home Births? by KJ Della’Antonia at the NY Times, because these were both less polarized takes on the debate which advocate the middle option, which is what I agree with. There’s something wrong with a system that has so colossally failed women that for some, in response to this, the only answer is to go to the extreme of having an unassisted home birth, where no medically trained person is in attendance. While I can certainly sympathize with the views of women who choose unassisted childbirth, for myself, I’ve worked in obstetrics long enough to know that sometimes, even when everything is going right, there are still plenty of terrifying emergencies which can happen in the blink of an eye, and which need a very swift response by a medically trained person (not that these emergencies happen often, but they DO happen). But then, I am a midwife, and this is my job, so naturally I would advocate for a midwife to be in attendance at every home birth. That said, given how variable the training system and educational pathways are for midwives in this country, there is no single standard for midwifery education, which means that even if you do elect to have a midwife at your home birth, there can still be a huge difference between the skills and knowledge of your attendant, and many of the tragic mistakes you hear about on website’s like Dr. Amy Tuteur’s Hurt By Home Birth site reflect these discrepancies. But I think the biggest problem we face with home birth lies in the fact that there is no integration in our health care system between home and hospital, and this is what I would advocate for more than anything else (the middle way, I would argue…and I’m certainly not alone in pushing for this!). When you look at other countries with the highest number of successful home births, like the Netherlands and England, each of those countries has a systematic approach to home birth. Women who choose home birth are not seen as wackos who’re going outside the healthcare system–they’re still very much a part of the system, and they receive care similar to their hospital-birthing contemporaries. And when something happens which deviates from the low-risk standards which have been established for home birth, they’re transferred to the hospital without any judgements or accusations, simply an escalation to the next level of care that’s needed, end of story, and lo and behold, they have MUCH better outcomes than we do. I’m currently in England for the summer, and I went out for lunch a few weeks ago with a British midwifery student, and we got to talking about babies and birth (go figure). At one of the hospitals she’s training at (King’s College Hospital), which has a very successful home birth rate, pregnant couples are presented the option of home birth right alongside their other options at the start of their prenatal care (just look at the link above, it says it right there in the hospital info page: “You can choose to give birth in the Nightingale Birth Centre at King’s or, if you live in the King’s catchment area, at home with the help of our community-based midwives.”), and if they choose to have a home birth, they receive prenatal care from a collection of community midwives who work for the hospital, and who will attend their birth. If everything goes to plan, they deliver at home. But if there are any deviations from normal (and I’m sure they have a very clear policy on what’s normal and what’s not), they’re transferred to the hospital, and they give birth at Kings with the technology they need, and with attendants who don’t view the transfer as a train wreck, but as an appropriate response to their individual situation. Which means that rather than receiving unnecessary intervention, they’re receiving the exact appropriate level of intervention they need on a case-by-case basis. What a breath of fresh air compared to the U.S. system, where finding a back-up physician is next to impossible for many hone birth midwives, which means when they have to transfer a client to the hospital, they have no rights or recognition as a midwife at the hospital they transfer to, and they’re not transferring to a specific attendant whom they work with and who supports their client, but instead are at the mercy of whomever happens to be working that day (usually an OB resident), who will know nothing about the client before she comes in, and will probably view the transfer as another “home birth train wreck” which needs cleaning up. Not exactly ideal, right? But then, we live in a country where the idea that healthcare is a fundamental, universal right which every human being deserves is still being hotly contested. In any case, it’s nice to see home birth in the national news. We can only hope that with the debate taken to a whole new level like this, awareness will spread, and perhaps increased awareness will lead to increased demand, which will lead to changes in our system which is currently failing so many women, and perhaps even lead to a more integrated system down the road. One can certainly hope, at any rate. (Or move to England).